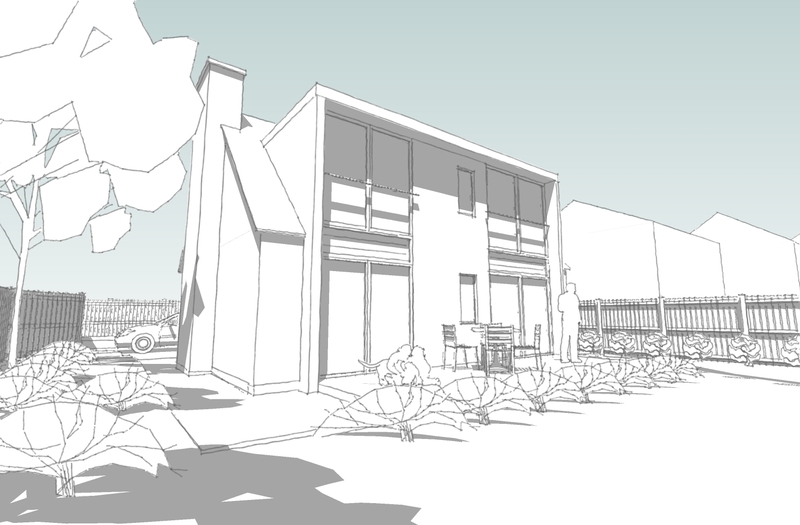 planning permission for new home in wirral | bromilow architects ltd.
Planning Approval was granted yesterday for this new house in Oxton, Wirral. It was a very lengthy process to get the scheme approved but we now have two very happy clients. Outline planning for the site was granted over 20 years ago to build a dwelling in the side garden of the adjoining property but the detailed design had never been finalised and over the years the protected trees on the site had grown larger and caused concern with their proximity to the house in its approved location. A fresh application including a new detailed design was developed with the clients to produce a scheme for a contemporary home which would suit them in their retirement. Through our good relationship with the Local Authority we were able to discusse the scheme as it went through the approval process and through careful negotiation and the preparation of detailed tree protection statements the scheme is now set to go ahead. The home is very similar in scale to its neighbours but is a contemporary interpretation of the dormer bungalows that surround it. The large glazed areas provide visual and physical links to the rear allowing the owners to seamlessly flow from inside to outside to enjoy their garden. Through some enquiries with Local Estate agents, the unique design of the home will make it very desirable and should the client wish to sell the property, it will carry a premium over similar sized homes netting the clients a good return on the investment in our fees. – they can handle the paperwork, bring value for money, imagination and peace of mind to your project, whilst keeping it on track and on budget.